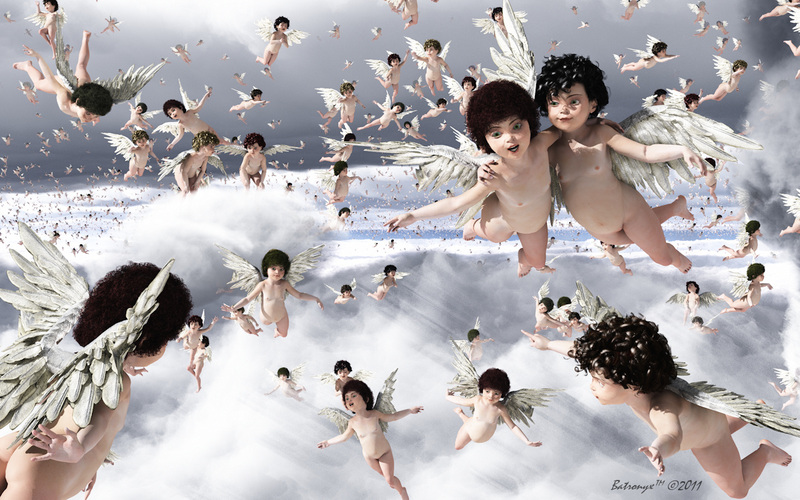 A sky filled with Renaissance style cherubs playing in the clouds. I did this pic several years ago. Until now it has only resided on RuntimeDNA.com . To this date it holds the record for having the most comments of any of my other pictures. It is still one of my very most favorites. I hope you enjoy it and it's fully playful nature as much as I enjoyed creating it.